Makeup! Fast, easy and flawless results in minutes! 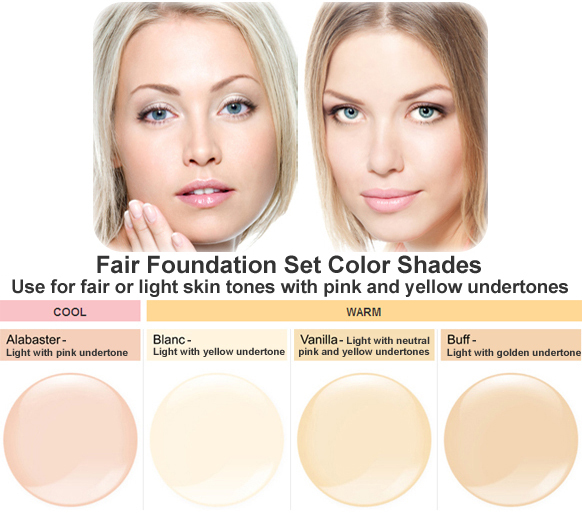 The Fair Foundation Set is ideal for fair or light skin tones with pink and yellow undertones.